When it comes to finding a car suitable for people with disabilities, whether a friend, family member or yourself, the choice can seem a lot more restricted. There are many vehicles on the market which are suitable though, from specifically designed wheelchair accessible vehicles to general cars that are spacious or possess useful features. When you’re looking for a good motability car for sale consider the following options and which one will best suit your situation. The seven seater SEAT Alhambra is a big people carrier that offers plenty of room and accessibility with its sliding rear doors (which can be operated electronically where needed) and spacious interior. This makes it great for people with many kinds of disability, and if you don’t need seven seats they can be folded down to create extra boot space. Cheaper than the Volkswagen Sharan, it still features Bluetooth, climate control and parking sensors to make it enjoyable and comfortable for every driver and passenger. Another large vehicle, and one which you can get financial help to afford through the Motabilty Scheme, is the Skoda Octavia. 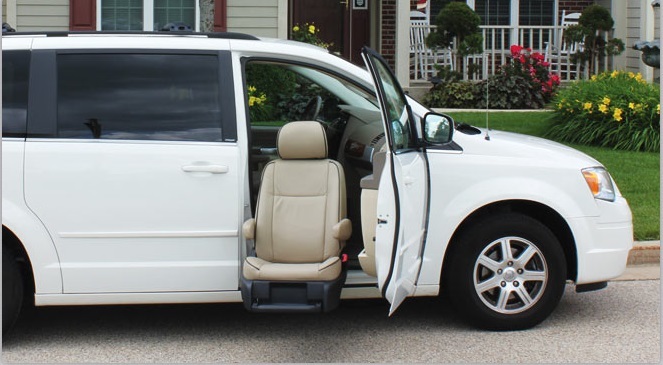 The estate version is best for anyone with disabilities, as it offers plenty of interior space and room in the back for fold down wheelchairs and other such equipment. Underneath it’s essentially a VW Golf, so delivers a great drive in all conditions. One of the finest wheelchair accessible vehicles, the Peugeot Partner Horizon is a stylish and compact car with easy rear access for wheelchair users. The ramp simply slides out at the back and can be folded back up when not in use. Despite its relatively small appearance, there is ample room inside for many wheelchairs and scooters, with the well-designed exterior helping it fit in alongside many other vehicles on the road. Minibuses offer a great choice for transporting large families and groups of people with disabilities around. The Volkswagen Transporter is a good option, with flexible seating arrangements and the possibility to accommodate more than one wheelchair at a time, depending on the other number of passengers. Between five to nine regular seats can be on offer, depending on the number of wheelchairs and scooters present. Relatively affordable when purchased new or used, there’s a large choice of this vehicle. Decide which of these vehicles best suit your situation and have a look around to find the best value option on the market.